Over the past two decades a small group of writers have redefined the superhero comic. In titles such as Planetary, Kingdom Come and The Ultimates writers like Warren Ellis, Mark Waid and Mark Millar have variously resisted, reinterpreted and celebrated the competing legacies of their characters and the superhero comic more generally, creating in the process a version of the superhero unlike any we have seen before, a creation that fuses the pulpy energy of their forebears with razor-sharp social commentary and a wild, often transgressive sense of the possibilities of the medium. But if there is one writer whose work defines the new comics more than any other, it is undoubtedly Grant Morrison. In a string of successes that began with 1989’s Arkham Asylum and Animal Man, and continued with thrillingly inventive runs on titles such as Doom Patrol, The Invisibles and most recently All-Star Superman and Batman and Robin, Morrison has used the superhero as a vehicle for his evolving ideas about sexuality and post-humanity. It’s fitting therefore that Supergods, Morrison’s first venture into non-illustrated narrative is almost unclassifiable. Part memoir, part cultural history, part manifesto, it is an attempt not just to map the past of the superhero, but to find in the superhero the outline of our future. It is, as Morrison puts it, intended as the “definitive guide to the world of the superheroes – what they are, where they came from, and how they can help us change the way we think about ourselves, our environment, and the multiverse that surrounds us”. Whether Supergods is definitive or not is debatable. While I’m inclined to agree with Morrison’s view Alan Moore’s work on Miracleman is better than the considerably more influential “stifling, self-regarding, perfect yet mean-spirited microcosmos of Watchmen”, I suspect many will find his judgements about the recent history of comics somewhat idiosyncratic. Likewise there’s something uncomfortably clubbish in his gossipy and oddly calculated revelations about the upper echelons of the comic industry. Yet definitive or not, there’s no denying the intellectual firepower he brings to bear on his subject. His accounts of the Golden and Silver Age are as impressive in their breadth of knowledge as they are assured, deftly shifting between dazzling readings of the comics themselves, discussion of their cultural context and delightful details, such as the fact William Marston, the Psychology Professor who created Wonder Woman with his wife Elizabeth, was not just also the inventor of the polygraph, but used he and Elizabeth’s live-in lover, Olive Byrne, as the model for Wonder Woman’s Amazonian physique. The Catherine Wheel effect of this magical mystery tour of comic history is given heft not just by Morrison’s intelligence, but by the strength of his writing. Although there are places where the book lapses into the clichés of celebrity memoir, Morrison’s prose is usually not just vivid but darkly witty, as when he describes Robert Lowery in the title role of the 1949 cinema serial of Batman as having “something of late-period Dean Martin … his was a grown-up, manly and possibly alcoholic Batman in late middle age, while Johnny Duncan’s Robin evoked a broken-down rent boy long past his best”. More importantly he is keenly aware of the visual possibilities of the form, offering attentive and detailed analyses of the works he discusses. Anybody unconvinced of the possibilities of the comic book medium might do well to read his descriptions of the melding of influences and panel design of Frank Miller’s The Dark Knight Returns, descriptions that lay bare not just the sophistication of Miller’s craft but the sheer ambition of his project. But this reliance on description lays bare one of Supergods’ faults, which is its failure to give visual dimension to its subject. Unlike a book such as Frank Trombetta’s largely pictorial study of 1950s horror comics, The Horror, The Horror, Supergods has almost no illustrations, and those it does have are in black and white. In the end though, the real faults of Supergods are not ones of omission, but over-ambition. Sandwiched between discussions of works such as Jack Kirby’s Fourth World, descriptions of Morrison’s experience of visions in Kathmandu and riffs on shamanic magic and sunspot cycles Morrison’s own (clearly fascinating) childhood is never given the space it needs to breathe. Similarly Morrison’s reflections on his own work can sometimes seem a little perfunctory. Of course this might sound a bit like a description of Morrison’s writing more generally, its ever-present tension between his desire to push boundaries and the demands of his form. 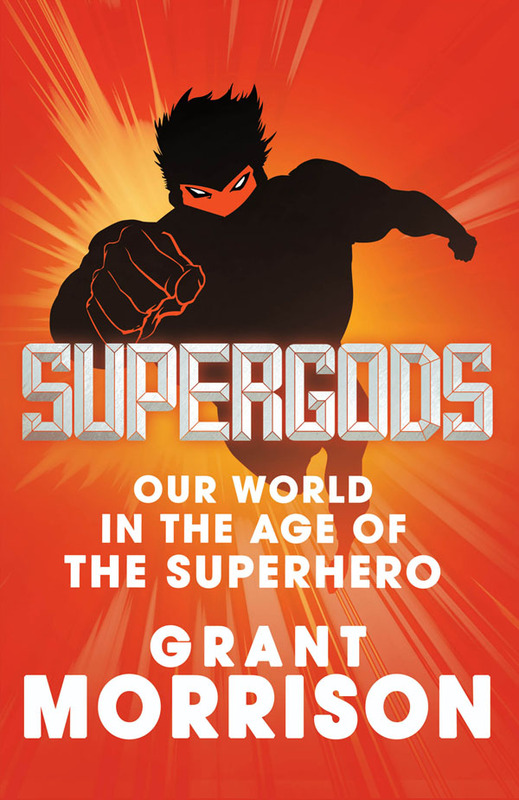 Yet even if Supergods suffers from its author’s overreaching, it is never less than entertaining, and at its best, thrillingly, wickedly brilliant about a subject too often relegated to the fringes of popular culture. Originally published in The Sydney Morning Herald, 1 October 2011. Great review James, glad I had a chance to re-read it after just finishing Morrison’s book this week. I agree with most of your points – yes, GM overreaches a little, yes his memoirs don’t have much chance to breathe and are covered too quickly, and surely a few more pictures wouldn’t have broken the bank – but I still very much enjoyed it, as did you. As I’m familiar with some of Grant M’s more esoteric philosophical beliefs from things like The Invisibles, I wasn’t too surprised when he pursued the magick / science / multi-dimensional theory stuff but I think a few readers will be thrown by it (especially those coming to it just as a history of the form). Even as metaphor, the idea that writing or creating a story somehow calls its characters into actual life is a meta-field of inquiry that has much merit I think.